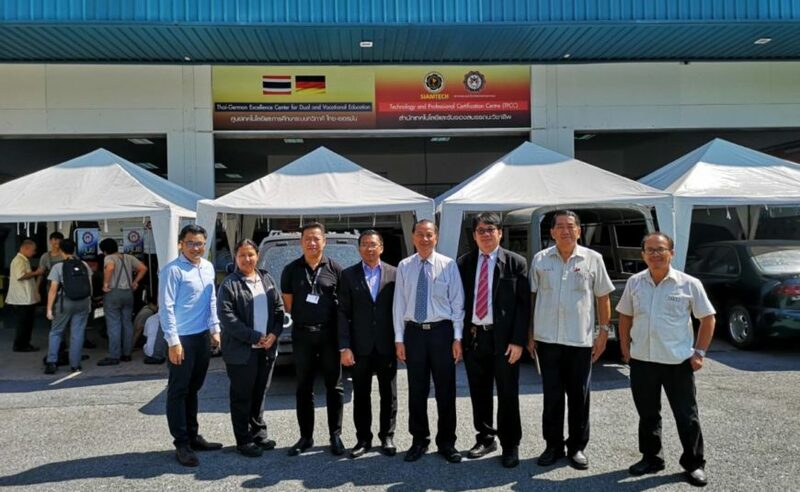 On 27 February 2019, GTDEE members Mr. Panuwat Jaitham, Mr. Katiphot Kanoknorrasade and Ms. Apinya Amporn organized the intrudution and pre-selection of Mercedes-Benz apprenticeship progamme Batch 2019 in Automotive Mechtronics profession with Mr. Prawit Muang-Im, Senior Training Manager of Mercedes-Benz (Thailand) Co., Ltd. to the applicants at Samutprakan Technical College. 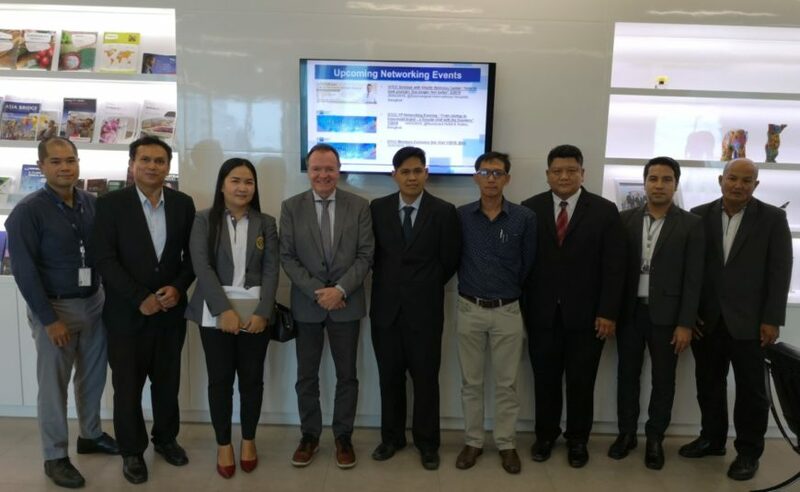 On 26 February 2019, GTDEE members Mr. Katiphot Kanoknorrasade and Ms. Apinya Amporn introduced GTDEE programme to the students in professions of Automotive Mechatronics, Electric Power and Electronics and organized pre-selection Mercedes-Benz apprenticeship programme Batch 2019 in Automotive Mechatronics which held at Eastern Technological College (E.Tech). 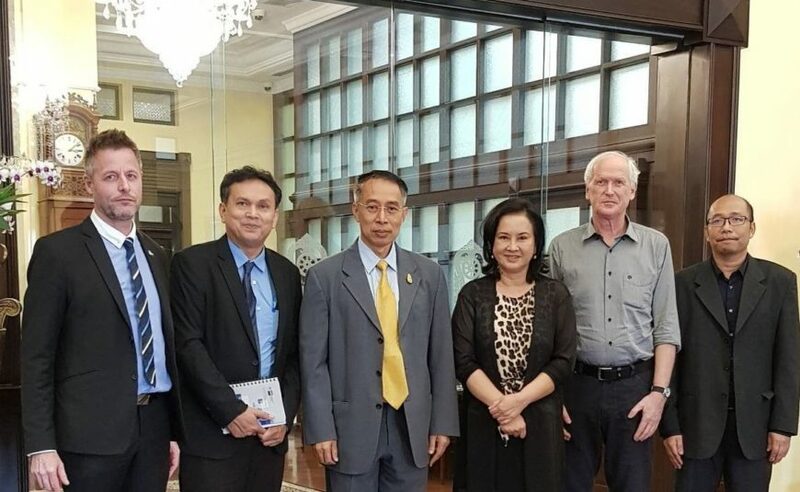 On 26 February 2019, GTCC represented by CIM Integrated Expert & GTDEE Project Director Mr. Markus Hoffmann Mr. Markus Hoffmann and Senior Manager Dr. Kamonsak Suradom had a consultation meeting with Secretary of Ministry of Education M.L. 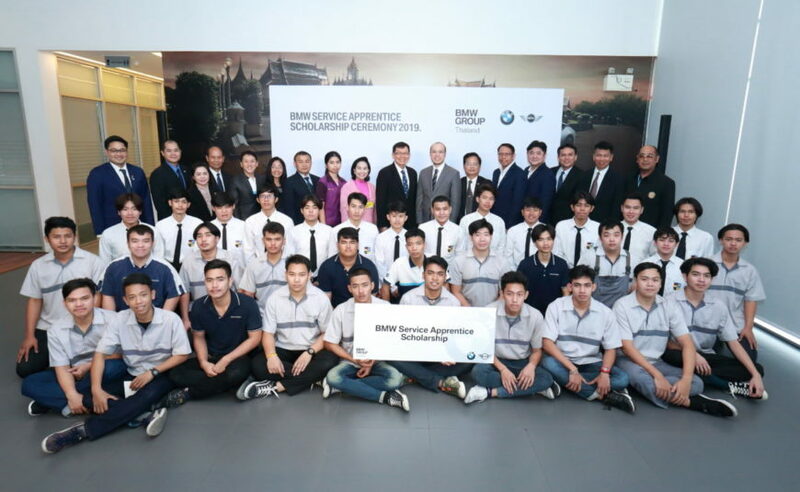 Pariyada Diskul on implementing German Standards vocational education in Thailand. 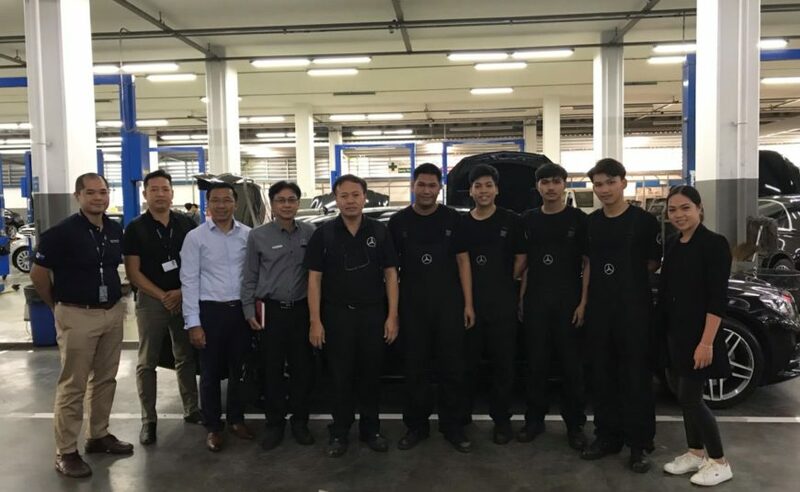 On 22 February 2019, Senior Consultant of GTDEE Department together with Mercedes-Benz (Thailand) Co., Ltd., General Manager National Training Mr. Van Vuong Nguyen Kim, Senior Training Manager Mr. Prawit Muang-Im and management team, visited Mercedes-Benz apprentices at Mercedes-Benz dealer at Rama III and talked with them on their progression while training. 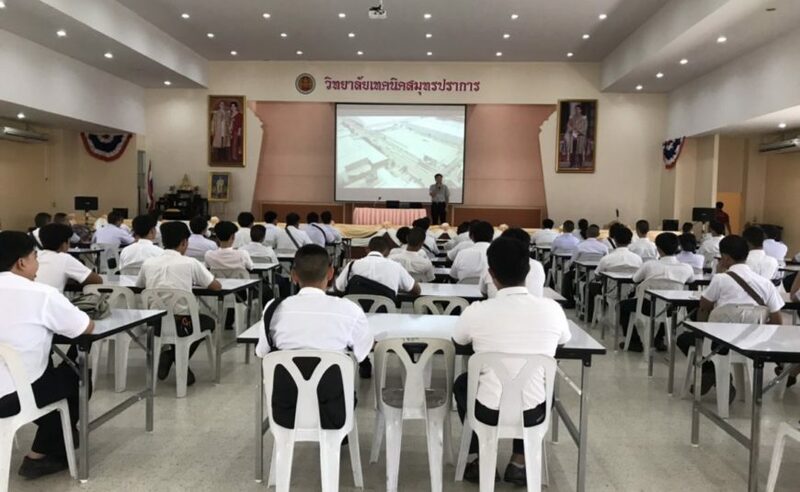 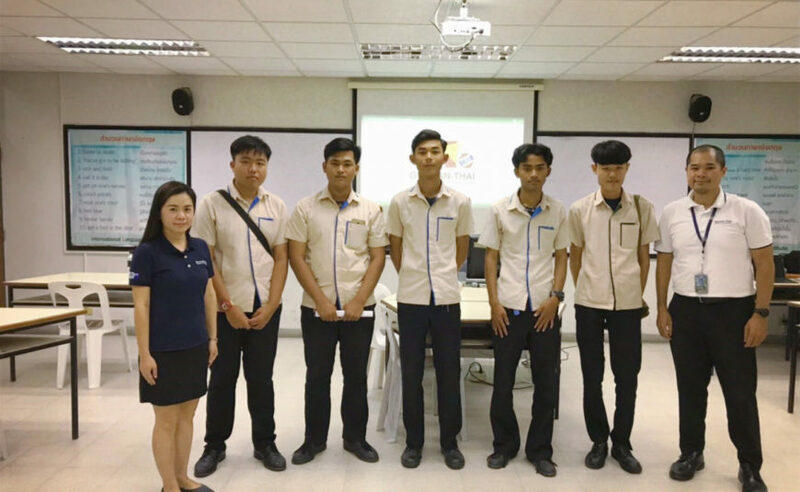 On 20 February, Senior Consultant of GTDEE Department Mr. Katiphot Kanoknorrasade organized Mercedes-Benz apprenticeship programme Batch 2019 under GTDEE programme to the students at Bangkaewfa Indutrial and Community Education College. 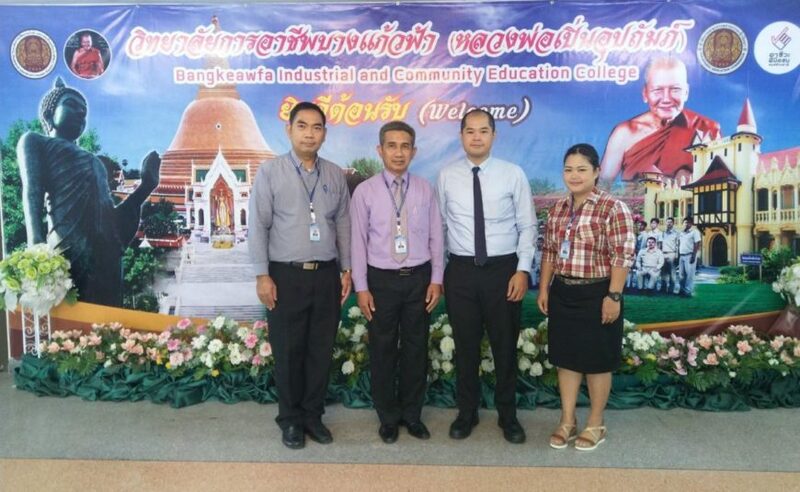 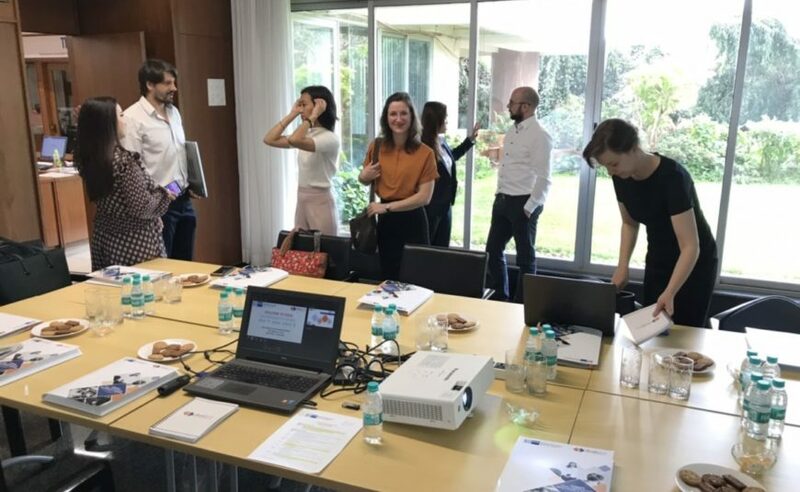 Furthermore, the GTDEE member participated in the meeting with the teachers of the college to discuss about the further cooperation under GTDEE programme.